The Harrington depot was brand new in this 1893 photo. 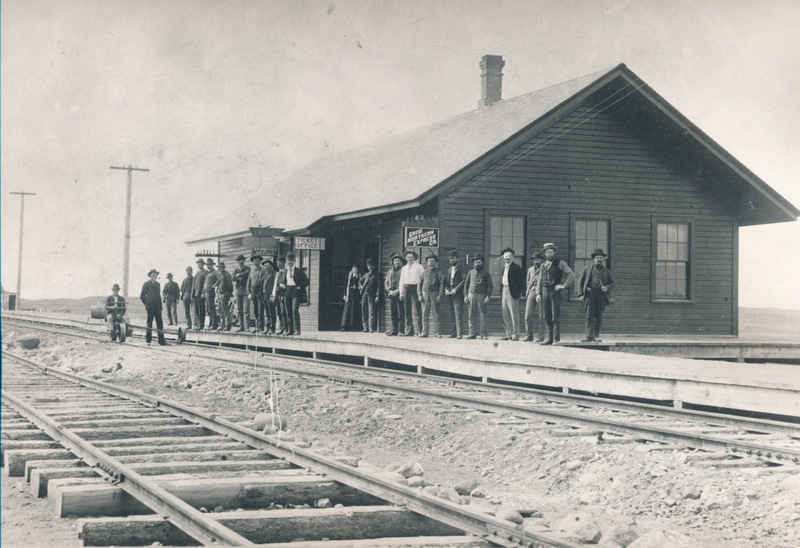 There must have been enough potential business for the Great Northern to build a modest sized depot like this Note the man on the velocipede on the far left. This was an inexpensive way for one man to move along the tracks at speeds greater than by foot.